Alagappa University was founded in the year 1985 by a special Act of the state government. The objective behind setting up Alagappa University was to fostering research, development, and dissemination of knowledge. Alagappa University is NAAC 'A' grade accredited university spread in 440-acre area. The university is located in the business town of Karaikudi in Sivaganga District in Tamil Nadu, India. The University has 18 Departments, 5 Centres and 2 Constituent Colleges on its campus. The university also has 28 colleges affiliated to it. Apart from offering regular courses, Alagappa University also runs various distance education courses under Alagappa University DDE (Directorate of Distance Education). Alagappa University DDE was set up in the year 1992. The Directorate offers various undergraduate & postgraduate courses in many disciplines including management, science, computer application etc. In total, the university-run 56 courses under Alagappa University DDE which are job oriented. The university has a wide network of study center to offer these courses. As of now, the university has more than 218 study centers to offer those courses. Not only in India, but Alagappa University also offer those courses abroad. Singapore, Malaysia, Bahrain, Qatar, Dubai, Sri Lanka are some of the names where Alagappa University DDE offer those courses. 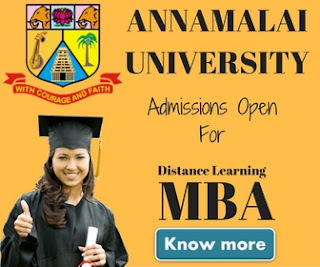 Alagappa University Distance Education MBA courses are one of the highlights of Alagappa University DDE. In addition to the general MBA programme, Alagappa University also offer sector-specific MBA courses. 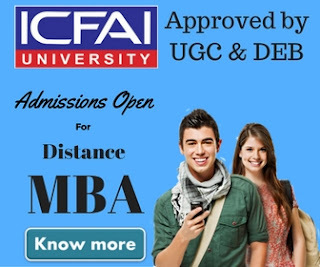 MBA In Corporate Secretaryship through distance learning is one of the MBA programmes which very few universities in India offer under distance education mode. Some of the other popular courses offered by Alagappa University are MSW, MCA, and PGDCA Programmes. Soon Alagappa University DDE is going to adopt online education system. Once the system will be implemented, the university will be able to reach a wider audience and number of students across the globe will be able to join distance education course offered by Alagappa University. Alagappa University announces results at a fixed schedule twice in a year. The results are made available as soon as possible on Alagappa University DDE official website. Someone can check their results by visiting the results page on the university website. Students who applied for revaluation can also check their results on the same page. Below is the list of total 57 post graduate, undergraduate, diploma & certification courses offered by Alagappa University DDE. Students who will take admission directly through university, study material will be sent directly to their registered address. All students who will take admission directly, have to attend the Contact Classes and Examinations at Karaikudi only. So if you live in Karaikudi or nearby area you can take a direct admission. Students who will take admission through study center can collect their study material from their respective study center. For students who will take admission through study center, Contact Classes will be arranged by the university. No Transfer Certificate is required for admission to any of the Courses. It is advisable that students should not submit any fee in cash.